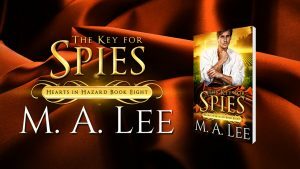 Meet the protagonist Simon and one of the antagonists for The Key for Spies, the most recent release by M.A. Lee in her historical mystery / suspense series Hearts in Hazard. That’s what his older brother called it, back when they’d run together. They’d taken to the dark streets, smashed locks to steal pastries or sausages, pried open windows to climb into dark rooms, and stolen locked boxes with stashes of coins. He never knew who Mattias worked for. Belly stuffed with iced rolls or spiced sausage, he had trailed behind his brother. Until the gendarmes caught Mat with a hand stuck in the alms box. Hidden behind a dark column, he’d frozen when the gendarmes appeared. Then black wings flapped before his face. He ran until his sides hurt and his too-tight shoes split along the worn sides. He’d abandoned his brother, a betrayal that had never left him. The next day he ran on to Marseilles. There, he re-invented himself as Pierre LeCuyer. 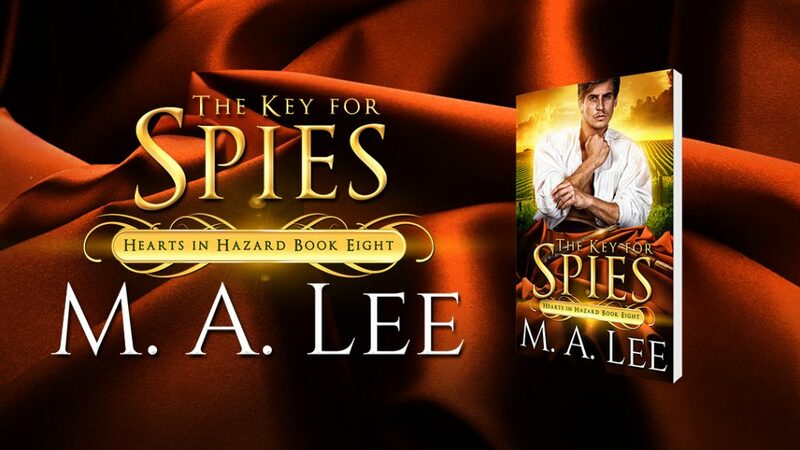 The Key for Spies is book 8 in the Hearts in Hazard series of historical mysteries/suspense.